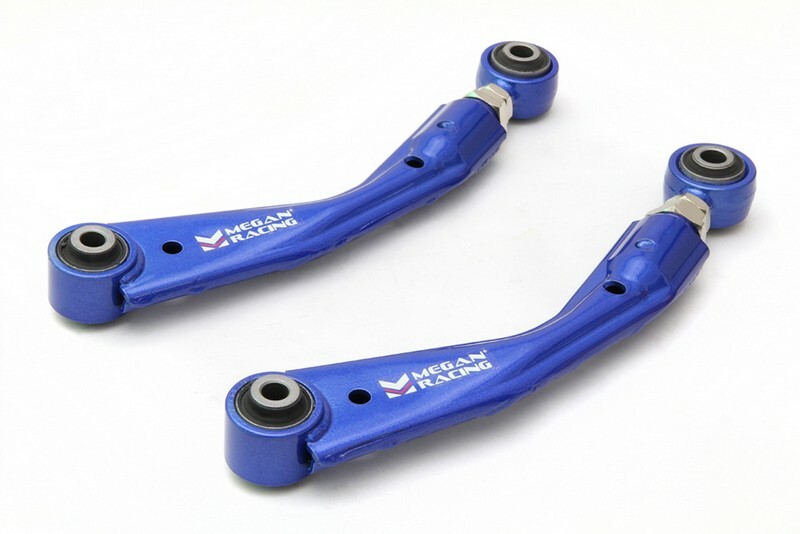 Megan Racing Inc. has developed reinforced and adjustable control arms to accommodate the needs of the aggressive and performance oriented tuner. 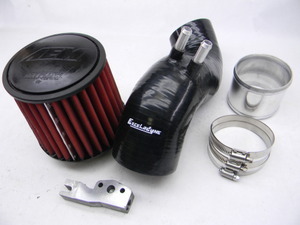 Being constructed of a Lightweight Steel-Alloy which is able to withstand the stresses of extreme competition, these arms are powder-coated with a 3-Stage process to ensure durability and protection against the elements. 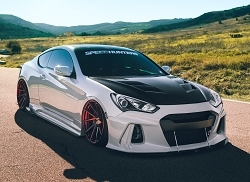 Megan Racing has now developed camber arms for Genesis Coupe enthusiasts that will help attain a higher level of control and performance. 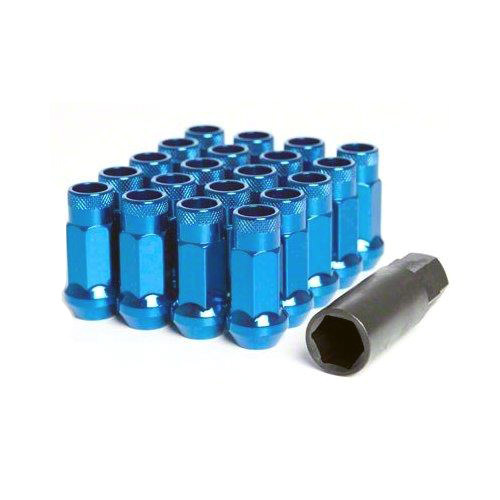 Constructed of a Reinforced Rubber Bushing , these control arms remain light weight while being able to take the punishment of competition and extreme conditions. A 3-Stage powder coating process the control arms will easily combat the elements for years of performance.